This craft wire is pure copper that is enameled with a colored enamel. It is then coated with a polyurethane and nylon mixture to protect the finish and prevent tarnish. The silvery colors also have silver in the enamel making them brighter. 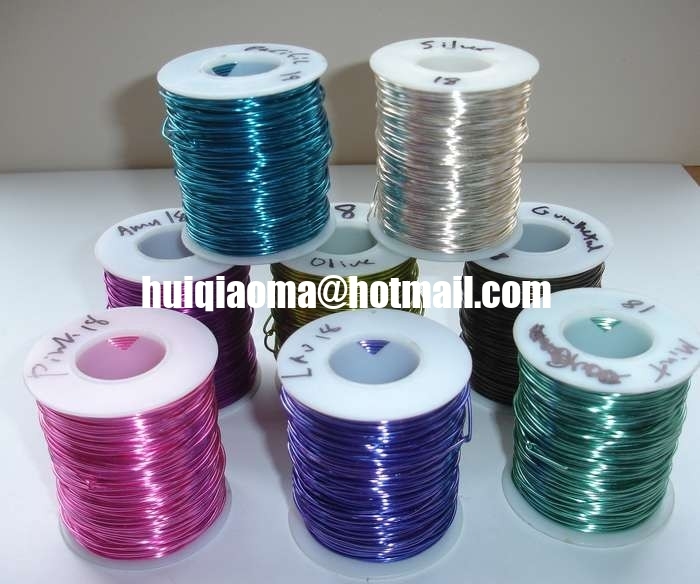 Copper Wire available in diffrent gauges, from 0.08mm to 2.6mm; the common size is 0.3mm,0.4mm,0.5mm,0.6mm,0.7mm,0.8mm, etc. Copper Wire used in Craft Project, Jewelry making project, toys; and for various arts and craft purposes.